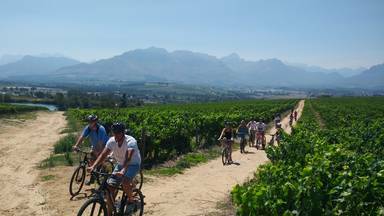 The inventive merging of a wine tasting tour while mountain biking in Stellenbosch, Cape Winelands. 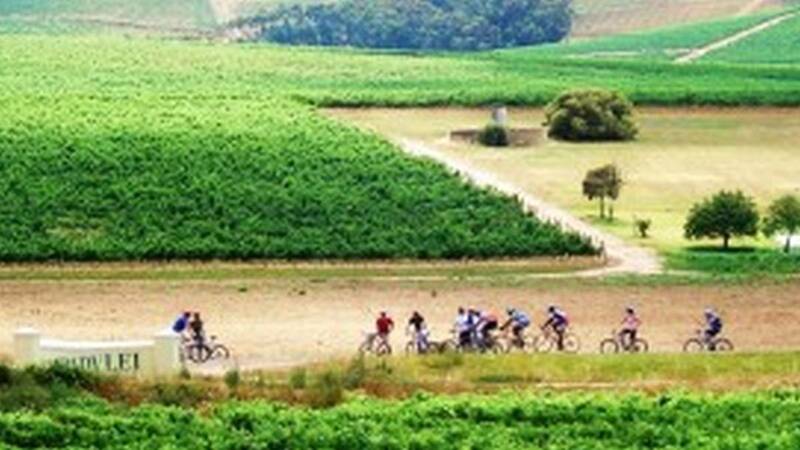 Bikes ‘n Wines offers the ingenious mix of mountain biking and wine tours in the famous Stellenbosch winelands. 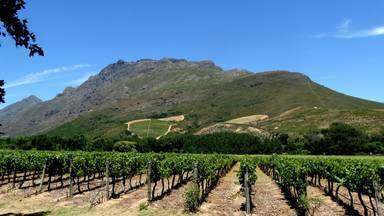 We have access to private roads, allowing tours to pass through beautiful vineyards and spectacular scenery. 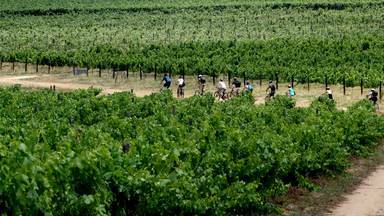 Bikes ‘n Wines currently visit up to four different estates and we offer five different tour options. This unique concept has been going since 2010, serving small groups of young-hearted, nature-loving people of all ages. Our preferred number of riders is 12, but up to 40 can be accommodated by prior arrangement. 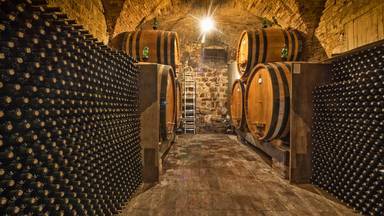 Bikes ‘n Wine also offers personalised tours alongside our various group packages. I always enjoy the ride. Not a fan of all of the vineyards. The guides are always professional a... - Celeste Novak. Book things to do at Bikes 'n Wines. 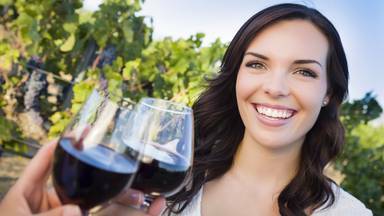 Find the best things to do at Bikes 'n Wines. What people say about Bikes 'n Wines. I always enjoy the ride. Not a fan of all of the vineyards. The guides are always professional and fun. The Stellenbosch tour by bike was great! Abi was our guide and he was friendly and fun. It was a great way to spend the day and get to taste several wines. We'd do it again in a heartbeat. It definitely helps to have some biking experience. If you don't know how to ride a bike or haven't ridden in 10+ years, you probably won't enjoy yourself as much. I always enjoy the Bikes n wines tour. Your guides are always professional and very thoughtful. I would recommend a few different vineyards. Excellent way to enjoy wine and beautiful countryside. Recommend it fully.